SKU: HDJ C70. Category: EQUIPMENT. 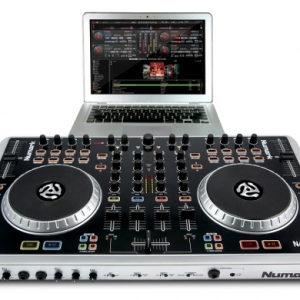 Tags: DJ EQUIPMENT, HEADPHONES, PIONEER, PIONEER HDJ C70, PROFESSIONAL DJ HEADPHONES. 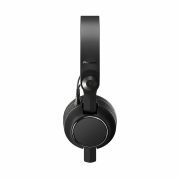 The Pioneer HDJ-C70 professional on-ear headphones are intended for DJs who prefer a headset that is lightweight, extremely flexible, and can produce audio with more impactful bass and clear mid and high frequencies. 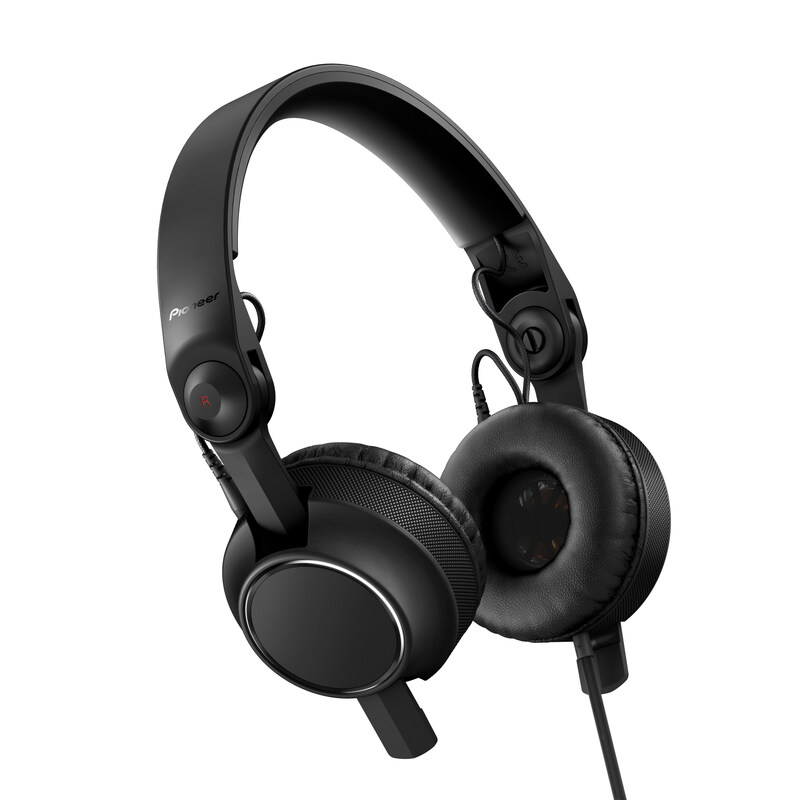 The new HDJ-C70 model sets itself apart from other Pioneer HDJ offerings with the use of smaller, more compact ear cups, rotatable arms, interchangeable parts, and a minimalistic cosmetic look. The new headphones are also designed to help minimize loud background noise, often found in loud environments such as a DJ booth, by utilizing a special sound-isolation “air chamber” integrated into the housing of the earpiece. The innovative air chamber also helps to isolate low and mid frequencies resulting in better defined mid bass/mid range sound output. 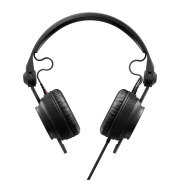 The ear pads use soft leather-type materials for a snug fit to enhance sound insulation. 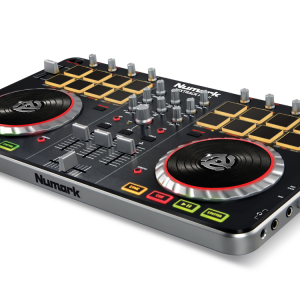 Furthermore, the HDJ-C70 features interchangeable parts for greater longevity. The headband, earpads, housing, cushion and cables can be removed and replaced (parts sold separately). The headphones are pre-installed with a 1.6m straight cord which but can also be swapped with an 1.0m curled cord (included). The cords have fine ribs to reduce tangling and noise from touching. A compact carrying pouch for added protection and convenience comes with the unit.